Agreeing is important in any conversation. And of course, you’re here because you want to say – I agree in Japanese. Well, here are the top 22 ways – phrases and words. These will make you an awesome Japanese speaker. Great to know in general. Lots of conversations involve agreement and disagreement. First, you will learn the agreements. So, read a long, little Junkie! 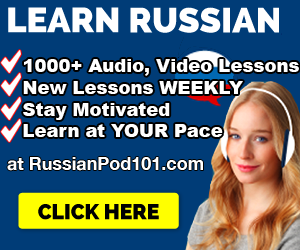 …you’ll love to have complete learning program. 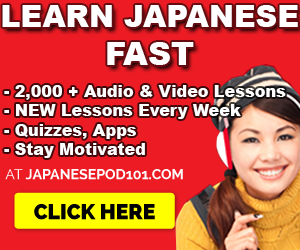 I suggest JapanesePod101 because they have :2,000+ audio/video courses, PDF eBooks, apps, study tools and more. 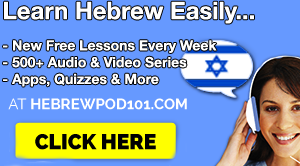 Sign up at JapanesePod101 (click here) and start learning. I recommend ’em as a teacher & learner. The word “sansei” means “approval” or “agreement.” This is a very formal way to agree in Japanese. Typically not heard in most casual conversations. “Mattaku” means completely and remember this word. You’ll see it in other contexts. After it, “sono tōri” means “exactly” or just like that. So, mattaku is there to amplify your agreement. And that’s right, you can dump the “mattaku” and just say “Sono tōri desu.” Literally, “sono” means “that” and “tōri” means road and way. As if to say that your partner is on the right road or track and you agree with them. Common way to express I agree in Japanese, or express agreement in general. 4) That’s exactly how I feel/think. Watashi mo onaji kangae desu. This can be interpreted as feel or think as both are used interchangeably. However, “kangae” means “thought” or “view” so literally, you say “I think the same” or “I have the same thought.” If you’re wondering why I have these variations and slight nuances, that’s because Japanese is not directly translatable to English. Tashika ni sō desu ne. This is a VERY common phrase in conversations. You can even just say “tashika ni” which means certainly or surely. Please remember this one as you will hear it a lot. Another common phrase that every beginner should know – “mochiron” meaning “of course.” You’ll hear this too. 7) You have a point there. Sore wa ichiri aru to omoimasu. People don’t like agreeing if they hold a different opinion. So, if you’re one of those smart people that can spot a good point when you’re wrong, this is the phrase for you. 8) No doubt about it. “Machigai” means “mistake” so this quite literally means “no mistake.” So you’re agreeing in Japanese by telling them that there’s no mistake in what they say. Granted this is a very safe and weak answer in terms of agreeing in Japanese. Either you’re not sure… or quite honestly, it can be used as sarcasm or as an insincere response. That however, depends on the tone. 10) I think so, too. This is the easiest way to say I agree in Japanese. Another way how to agree in Japanese. The expression is a bit different though. “Onaji” means “same” and “iken” means “opinion.” You’re saying you have the same opinion. Sou iu koto da to omou. Another way to agree. Common in conversation. And, as you can tell, a really weak statement. Either you don’t really agree, don’t really know (totally OK not to know things), or just are scared to say otherwise. This is another variation of the above. “Darou” is a more casual, and slightly ruder version of “Desu.” So, be careful and use it in casual conversations. 14) You may be right. Anata ga, tadashii no kamoshirenai. Sore ga, tabun tadashii darou. Similar to the phrase above, except here, we’re talking about the statement that’s implied by “That’s” or “Sore.” Again, since this uses “darou,” it should be used in casual situations. 16) I couldn’t agree more. Remember “Sansei” from the beginning of this lesson? Well, add a “dai,” meaning “BIG” and you’re in MASSIVE agreement. “Daisansei” means complete agreement. When you’re in complete, undeniable, 100% agreement. Another way to interpret this is as “I’m all for that.” Another way to say this would be the following below. “Dōkan” means “agreement” or same opinion, if you didn’t know. 17) It might be possible. Not a complete agreement but, hey, doesn’t hurt to know. 18) That’s all right with me. Watashi wa, sore de ii desu yo. Sometimes, you just don’t care. Just another golden phrase on how to agree in Japanese. You can also omit “watashi wa” to be more casual. In Japanese, omitting yourself is perfectly fine from the sentence. 19) Yes, you’re right, I think. Just directly telling someone that they’re correct. You can choose to keep or omit “to omoimasu,” meaning “i think,” but that’s up to how you want to express yourself. I hear people use this a lot as a way to say I agree in Japanese. 21) If you insist/If you say so. Anata ga, soko made iu nara. Well, this is not REALLY 100% agreeing. It’s how to agree in Japanese reluctantly. Usually, in this case, you’re too tired to argue or just want to let the other person have it their way. Also, this is fairly casual, so please use it with friends. 22) It’s up to you. Now, you’re not really agreeing. You’ve given up. “Shidai” means “dependent upon,” so you’re letting them have the last word…and in a way, agreeing by letting them have their way. 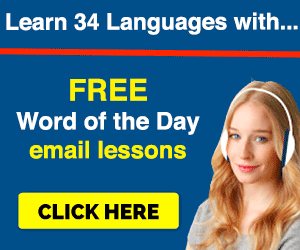 So, why the HELL do you need 22 ways to say – I agree in Japanese? (…there are more) Well, it makes you a more FLUID speaker. You already use these kind of variations in English without thinking about it. Japanese is the same way. If you want to sound like a great speaker, you need to know tons of variations. You sound smarter. You have a wider range of expression as opposed to the one guy that only knows how to say “I agree” all the time. Let me know what you think. Do you want more phrases? Be sure to review this lesson on how to agree in Japanese and leave a comment. Successful Learning: How To Self Study Japanese Alone. expression in Japanese, or express agreement in general. Native Japanese, speakers was very good excellent at reading with notes useful phrases,.. JAPAN country government,.has friendly culture,.. sports, festival, social history studying?,..